If you are like countless other men and women, you have probably tried everything to help you lose weight. There are hundreds of different diet fads and ancient secrets that seem to pop up overnight which will help you lose weight. If you search online then you will find even more ways than people claim are surefire ways to help you lose weight. With so much information floating around, you may find yourself at a loss for whom to trust. 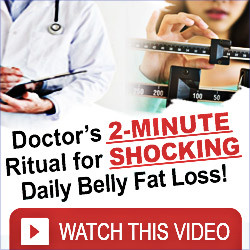 You may also be putting yourself and your body into dangerous situations by failing to do any research before starting a new weight loss ritual. One of the best things you can do when you want to start losing weight is to keep a diet and exercise journal. If you are unfamiliar with diet and exercise journals, they may seem a bit strange to you. While diet and exercise journals are similar to regular journals, you do not actually have to write down your feelings in a diet and exercise journal. But you can if you want to. Most people who have diet and exercise journals use them to write in the things they ate and the exercises they did. Some people even include how eating certain foods made them feel. For instance, a woman who was trying to lose weight started keeping a diet and exercise journal because she was told by her doctor that it could help her make better decisions. The woman noticed that every time she ate ginger chicken, her nose and hands would itch. After letting her doctor know about the itching, she discovered that she had a slight allergy to ginger. She could drink ginger tea, but couldn’t put ginger in her food. If you decide to use a diet and exercise journal to help you lose weight, you can also sign up for a free fitness account or download an app to further keep track with your exercise and eating habits. Websites and apps such as MyFitnessPal and Nexercise contain food databases and many common exercises. These types of websites and apps keep a track of how many calories you have eaten and how many calories get burned off when you do certain exercises. With this, you always know how much you are eating and how much fat you are burning. You can also input certain fitness goals, such as wanting to lose a set amount of pounds and how many calories you would have to eat on a daily basis to reach that goal within a desired amount of time. Using a diet and exercise journal is not difficult, and you may even find it fun. If you are worried that you may feel awkward using a diet and exercise journal in front of other people, you can jot down the things you ate and the exercises you did on the back or receipts of random slips of paper and then save them until you have a chance to fill out your journal alone. Using a diet and exercise journal to keep track of what you eat and how you feel can definitely help you with your goal of losing weight and being healthy.